Last year, I wrote a post about 11 Influential Books I Read in 2009. I’d like to do the same for 2010, but this time, I’m sharing some of the most thought-provoking books I’ve read recently. This has been a big year of change for me, and many of these books explore debunking commonly held beliefs and opening your mind to new ways of thinking. So you’ll probably enjoy these books more if you’re open to hearing new and different ideas, even if you don’t agree with them. By sharing this list, I’m not saying I agree with everything written in all of these books, but they each helped me think about things in new ways, gave me an understanding of different perspectives, and opened up my mind to concepts I have never before considered. I hope you enjoy them as much as I did. This is an eye-opening book, showing how much our health as humans is negatively affected by eating “foods” that have been largely processed or chemically produced, rather than whole, natural foods like fruits and vegetables. Judging the nutritional value of food based on nutrients is helpful for scientists, but nutrients taken out of the context of food, or combined to create new pseudo-foods, offer less value than the natural food itself, despite the health claims on the package. The author also shows why many scientific food studies are not trustworthy, often tweaking the experiments to give the right result for the publishers of the nutritional articles. This book explores the negative influences of institutionalized schooling. 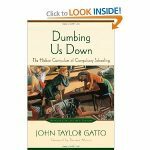 Two-time “teacher of the year” award-winning author, John Taylor Gatto argues that in school we are not taught to think for ourselves, so much as we are taught to follow orders and jump through hoops, while cramming our brains with irrelevant facts. Further, he claims the school system has been setup this way intentionally. School graduates make great employees and government citizens because they do what they’re told without questioning. But this does not usually lead to innovation, a passion for learning, or personal fulfillment. The book consists of six fairly random essays, written over a period of many years (two given as speeches in which he’d earned the teacher of the year award). While many of his points are simply strong opinion, I think this book is a very worthwhile read. Buy Dumbing Us Down. 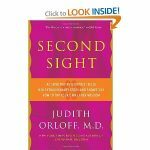 Second Sight: An Intuitive Psychiatrist Tells Her Extraordinary Story and Shows You How to Tap Your Own Inner Wisdom by Judith Orloff, M.D. I picked this book up because I wanted to get better at following my intuition and understand the meaning behind my feelings. And I found it absolutely fascinating! Psychiatrist Judith Orloff shows us through numerous experiences in her own life and the lives of her colleagues and patients, how we each have the ability to sense things through intuition, and that this ability can be enhanced through practice. The book tells her story of how these abilities were rejected by her parents and later her colleagues in the medical community, and how she was eventually able to overcome those rejections and utilize her gifts in her practice and in many other ways. The book is well written and easy to read. Inspiring and controversial, this book will challenge your beliefs about the limits of the human mind and your potential to see more than just with your physical senses. Buy Second Sight or get the older edition on Kindle. Unless you’re LDS or have interest in Mormon history, this book will probably not appeal to you. But having grown up as a Mormon in Utah, this book opened my eyes to a lot of historical realities of early Mormon history that are usually swept under the rug in Sunday school classes. Having been written by an active LDS historian and former Institute director, this book was surprisingly candid. I learned a great deal about how Joseph Smith actually translated the Book of Mormon and other texts, how the stories of the first vision and restoration of the Priesthood developed over time, and more about the men and women who were instrumental in establishing the LDS church, and the 19th century setting they lived in. The author did not delve into the controversial topics of polygamy and the origins of the Temple ceremony, but the topics he did cover were historically honest and thorough. I do feel that some of his conclusions were a little speculative, but there is still a lot of good data in the book, and I highly recommend this to anyone wanting to learn more about accurate LDS church history. 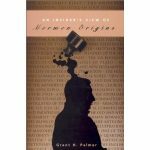 Buy Insider’s View of Mormon Origins. 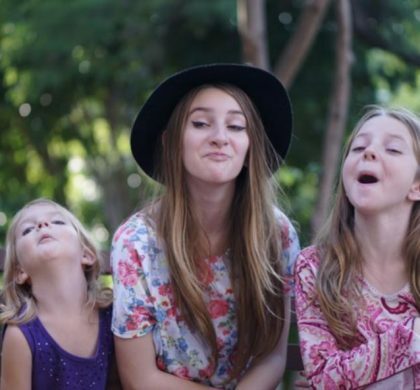 This is an interesting study that debunks several myths about the effectiveness of many popular parenting strategies. The topics covered include: the inverse power of praise, how racial prejudice develops, why kids lie, the question of whether self-control can be taught, how sleep affects learning ability, how children learn their native as well as foreign languages, and much more. Parenting techniques and even products such as the popular “Baby Einstein” shows are put under the microscope of scientific scrutiny. The author draws from several studies that show that what we have been taught to believe is effective parenting, is often just a myth. Buy NurtureShock. I actually listened to the audio version of this book on the plane while flying around South America. It’s written by a man who was troubled by some sincere questions, wrote them down, and subsequently found himself dictating the answers that came to him, as a conversation with God. 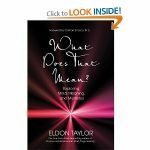 Countless challenging questions are asked and answered, with topics ranging from the nature of God and reality, to why bad things happen, what is truth, how to love, and so much more. Some Christians may not like the way God is portrayed in the book, as a witty, yet unconditionally loving (totally non-judgmental) presence that is neither male nor female. But whether or not you agree with everything in this book, there are some very thought-provoking perspectives worthy of attention. I thought God’s “jokes” really added to the entertainment value. This is definitely a book of questioning, and a book worth questioning – truly one of the strangest books I’ve ever read – yet it did give me much to think about. This author draws on experiences in his life, some of which border on the miraculous or ridiculous, to get us to think more about the possibility of things we had previously denied were possible. Many unique topics are covered from the nature of reality, to miracles, purpose, free will, psychic spirituality, memory, coincidence, ghosts, intuition, civility, and much much more. I don’t know how much of what he has said is credible, but if you’re looking for a thought-provoking book, buy What Does That Mean? 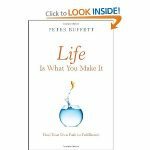 Written by the son of billionaire Warren Buffet, the focus of the book is to help you discover your purpose in life, and to make of it what you chose. 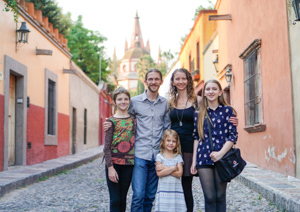 He discusses the importance of doing what you love, the cankering effects of entitlement, the joy of giving your time and means to help others, and shares many important life skills and even parenting tips along the way. Peter’s views were very well articulated, and you can tell he is a real thinker with some profound insights and great experiences to share. 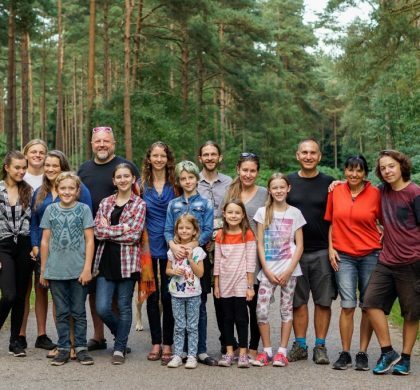 For anyone who doesn’t love what they do every day, is searching for a perfect career, or struggling to find meaning in their lives, I recommend Life Is What You Make It. Actually, I recommend it regardless. Note: I wrote a more complete review of this book a few months ago. Click here to read my full review. Or Buy Life is What You Make It. 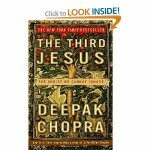 In this book, Deepak Chopra proposes that there are three different images of Jesus on which we can choose to place our focus. The historical man Jesus who lived 2,000 years ago, the Jesus created by Christianity as theology developed, and the radical mystic teacher who taught his followers how to live a life more connected to God. It is on this third Jesus that Chopra focuses the majority of the book through an exploration of scripture and other texts and their meaning for us then and now. I found this book to be a beautiful reminder of the teachings of Jesus and an interesting new look into what Jesus may have intended in his teachings. Buy The Third Jesus. It’s hard to deny that our brains are hard-wired to find God. 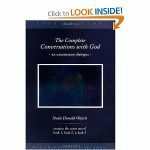 This book explores seven major ways that God has been found by cultures and religions throughout history, and demonstrates the idea that how God is viewed is largely influenced by the mindset and needs of the people who view Him. 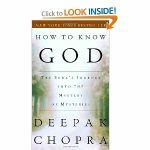 Using science and an interesting mix of Eastern and Western philosophy, Chopra discusses everything from the different stages of belief in God, to the effectiveness of prayer and what we know so far about geniuses and prodigies, quantum physics, telepathy, former lifetimes, clairvoyance, prophecy, and much more. I found parts of the book a little tedious, but overall, I think it’s an interesting read for an open mind. Buy How to Know God. 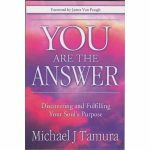 This book is about finding your life’s purpose through intuition, recognizing truth, increasing your spiritual awareness, and creating miracles in your life. Yes, this can definitely be considered a “New Age” book. Michael also talks about the nature of death, how he can see people’s auras, and how people’s spirits partially leave their bodies during sleep, during which time he often jokes about teaching “night classes”. In his book, he also offers many practical suggestions for finding meaning in your life, being a happier and more loving person, and having greater inner peace in your life. A book not for the faint of mind, but yet another book that may invoke new thoughts. Buy You Are the Answer. If you’ve read any of these books, I’d love to hear your thoughts about them, as well as any other thought-provoking books you’ve read lately. Please share your comments below. I have read parts of some of these books on my own, read some with you, and have enjoyed hearing about what you have been reading in the others, as you’ve gone along. It has been fun to explore new ideas and perspectives together. I think, overall, I could say that these books have helped me put more importance and focus on paying attention to my own thoughts, feelings, and experiences in life, and seeing how those things paint a picture of my reality as I currently know it. Those sound like some pretty interesting books. I am glad you’ve been able to expand your views and explore new ways of life and understanding. It’s healthy, in my opinion. I like this list. Thanks for sharing. I haven’t read a single one of these books, I’ll have to grab a couple. P.S. I like the facial hair. Thanks Rick. :) I always thought you looked really good with your beard. Great list of books. Certainly shows the kind of exploratory turn your life has taken the past year – which is really very exciting. Especially considering how rigid many of your views were in the past. People really can change – and quickly! I’ve only fully read one of the books – which was an Insiders View to Mormon Origins. 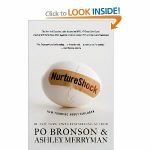 I LOVED that book – it explained so much to me and helped me make sense of things that had caused me concern and confusion in the past. 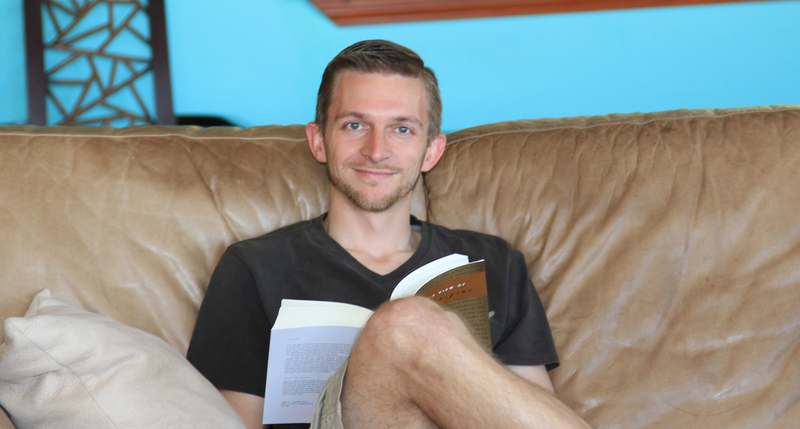 It was fun to watch you read this while I was in Costa Rica and how engrossed you were by it. I felt the same way when I read it. 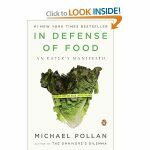 I haven’t read In Defense of Food, but I heard the author give a lecture on my local NPR station’s “Speaker’s Forum” a year or so ago. Found it VERY fascinating and compelling. You certainly live in a great place right now for eating locally and healthfully. I’ve been craving mangoes and fresh guanabana juice since I got home. I’m a Deepak Choprah fan, but haven’t read either of those books. I’m currently listening to “The Shadow Effect” on cd, of which he is a co-author (with Marianne Williamson and Debbie Ford). I think I’ll have to pick up Michael Tamura’s book… and maybe Second Sight as well. I found it interesting that you’d read this and Insiders View in the same year. Because imo both the institutionalized education and organized religion (at least mormonism, from my experienced) share the characteristic of not promoting (and even discouraging) thinking for yourself. In both, you’re expected to just follow the rules and trust that those in authority know better than you. And it’s hard to break out of that if you’ve never been taught critical thinking skills. Looking forward to your 2011 book list! Glad you enjoyed the reviews. Yes, I probably wouldn’t have even considered reading most of these books a couple years ago. I think I unknowingly had a habit of shutting out everything that I didn’t want to see, or that was contrary to my beliefs. It’s great to not feel so threatened by information, whether opinion or truth. OK, this is going to be a long post. I apologize in advance for being rather negative and somewhat accusatory. As you know, I’m not at all a negative person, and I have supported you with a hearty “Atta boy” on every step of your new journey. But It’s time for a little heart to heart. I really like some of your book choices. I loved the Michael Pollan and the Po Bronson books. I read them both last year. But some of your other choices are questionable and need to be examined more carefully—and then thrown out! I speak as one who has read almost all the books on this list (or other books by the same authors) and also as one who has given much thought, research and reflection on the ideas expressed in them. As an intellectual, I expect a certain amount of rigor in my reading material (at least in the material I publicly recommend). Just because an idea may be reasonable, attractive, emotionally persuasive does not mean it is correct and worthy of acceptance as a guiding force in one’s life. I admit that I have pet theories and ideas to which I am particularly attached but which I would be hesitant to teach or proclaim out loud simply because I cannot justify them rationally and scientifically. But since you have made your ideas public (I guess a blog counts as “public”) I will refute them in the same forum. First, John Taylor Gatto has an ideological axe to grind. From reading his books and his biography it is clear to me that his experience in a classroom is limited to a few years he spent in an inner city school in a dangerous neighborhood with little public support. He really did have it bad. That he was as successful as he was says a lot about his will to survive. I am not convinced, though, that he has a broad knowledge of that public education which he so passionately attacks. He claims that American public schools were instituted as a form of government control over the population in order to keep them stupid, subservient, and docile–a kind of assembly line to train assembly line workers. He also claims that it has been resoundingly successful in that goal. This is ludicrous to those who have studied the history of public education in the US. There simply was no such intent. And while we admit that the education system is far from perfect, the fact that it has produced millions of successful people over the years (including you and me) is an indication that all is not as bleak as Gatto portrays it to be. Do you really feel that the schools you attended were trying to get you NOT to think? Were teachers challenging you to read thick textbooks because they wanted you to learn LESS about the world around you? I can tell you that in the education profession we are taught to encourage thinking, reasoning, creativity, goal-setting, personal and social responsibility, and yes, even (horror of horrors) facts, dates, and figures. Our purpose is not to “dumb down” the populace. 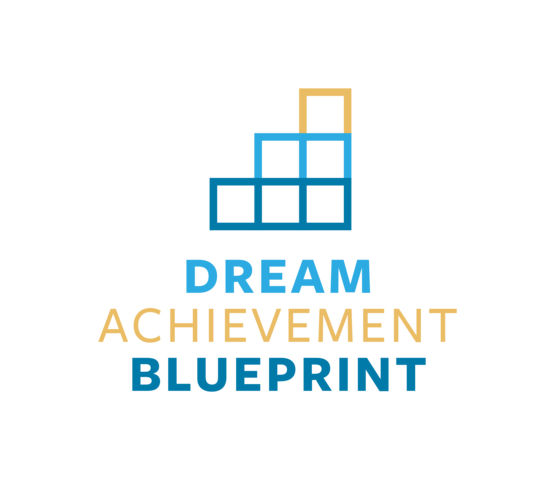 It is to educate them to help make them more productive as future citizens, leaders, innovators, discoverers, and thinkers. We are not always successful in this, for a variety of reasons, but that is the stated, as well as the implied, objective. Also, I’m not against home schooling per se, and I leave it to parents to make that decision for their children. But I do take issue with some of the justifications for that decision. Now, Gatto is a persuasive speaker and author. He definitely has a loyal cult following. But his ideas are so far off the wall that they should not be taken seriously by any thoughtful person. I am sorry you have been taken in. There are so many other, more objective and scholarly criticisms of public education available. You have championed only the loudest, and most opinionated. I’m afraid you may have been seduced by the volume and passion of the argument rather than the substance. Now, about the religion thing. Believe me, I’ve been there. I’ve read all that you have read and have come to different conclusions. How is that possible? There has been nothing in my religious upbringing that has prevented me from reading or thinking. I have been encouraged to let my “thoughts reach to the highest heavens” and contemplate things “both in the earth and in heaven”. I have never felt intellectually shackled. If you have, I’m sorry. It was probably some well-meaning Sunday School or Seminary teacher somewhere that told you that it was immoral to study anything other than church-approved books. Nonsense! Specifically to Grant Taylor’s book: He is attempting to uncover what he believes to be the “true” origins of the Church and to attempt to explain why we need to follow Jesus regardless. First, I’m not sure that the origins have ever been all that “covered” in the first place. I have known about these things since I was in high school. We don’t teach them in church because they are not faith promoting, obviously. Whether that is a good thing I have my doubts, but who could blame them for not wanting to air their dirty laundry in public? Institutions have faults, but that doesn’t mean they are not valuable forces for good. Second, Some of his arguments, the E.T.A Hoffmann connection, for example, are just too far-fetched for me. He should have stuck with the facts and his book would have been stronger. 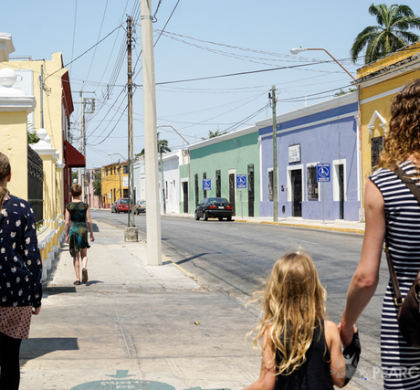 According to a recent study of religion in America titled ” American Grace” by Robert D. Putnam, a person’s religious beliefs is not only a matter of faith but also of identity. If a person abandons the belief system that he was taught in his childhood, it is almost never for purely doctrinal or historical reasons, but sociological ones. He “chooses” to follow a different master–whether that master happens to be a new group of friends, a competing religion, or some form of atheism, secularism, spiritualism, or other philosophy. He is persuaded to view the new identity as preferable to the old one. He may feel as if he has come out of the darkness and into the light. This is natural for one who has been converted–to or away from a belief system. It happens all the time. Once it happens, once this new identity has been chosen, no amount of reason can persuade him to return. It’s a matter of how you see yourself, and with whom you most wish to identify. There is also the possibility for another conversion (maybe, but not necessarily, an intellectual one)–a return of the prodigal son. I’m still hoping and praying for that day. Well I may not have convinced you with this long lecture, but at least you know where I stand.There are a few things I am passionate about. One is education, another is religion, and the third is my family. I just couldn’t sit by while some of my most cherished values are being challenged by someone I cherish and value. In your zeal to proselytize, remember those who are affected by your decisions. Never be afraid to admit (openly, if you must…) that you may be wrong and that all of this could be leading you toward a dead end. And while I know you are secure in your love for me and mine for you, let’s remember that feelings can be hurt, and our decisions, although well-meaning, can negatively affect those we love and care about. So, in short, I agree with you. I think Gatto should have provided better references, been more reasonable, and approached the subject more tactfully. And Taylor’s really stretching it with the E.T.A Hoffman link and several other connections he makes. If I had done full-length blog posts reviewing each of these books, I would have gone more into these kinds of details. But this was only supposed to be a quick list of books with a short paragraph describing them. The reason I included the books is not because I wholeheartedly agree with everything in them, and want to preach their message to the world. It’s simply that I found the books, in general, to be interesting because they got me thinking about the subjects in different ways – hence the “thought-provoking” title of this post. That’s an interesting perspective about how people choose to associate with different crowds, and change their beliefs accordingly. It certainly could be happening to me. I like to think I’m following what makes the most sense to me and feels right in my heart, based on my knowledge and experience up to this point. But there certainly could be other subconscious, sociological, or psychological factors at play. It’s a good question for all of us to ask ourselves, no matter our situation. I understand that it’s natural to get defensive when you feel like your beliefs are being challenged, and I certainly didn’t mean to attack you. However, I do believe it’s healthy to challenge and question your own beliefs regularly with new perspectives. Otherwise, how do you know what you really believe, and how strongly? This is partly why I chose to read many of these books in the first place. You have made me proud (again) with your reasoned reply. I did indeed “jump the gun.” I realized that as soon as I pressed the “submit” button. You are very right that reading challenges, and is meant to challenge, our pre-conceived ideas–even those closely held. Believe me, I have had a lot of that. It’s what education is all about. I believe in reading a lot and reading widely. But my point against Gatto is that he paints the education system with a broad brush and claims that the system itself discourages this kind of learning. That’s just not true in my experience as a public school teacher for 25 years, nor is it true in my research for my doctorate in education and in my discussions with colleagues. He mis-represents the facts and overstates his case. It makes me cringe just a bit when he is held up as an authority when there are so many other, much more reasonable and objective education reformers, who’s criticisms deserve to be taken seriously. Anyway, thanks for your patience with me. And for your love which I constantly feel. Thanks Dad. And good point about Gatto. What other authors do you recommend on the subject? Not that these authors all agree, nor do I agree with all they write, but I have gottten a lot of insight from Jonathan Kozol, Neil Postman (especially his “Education as a Conserving Activity”) E.D. Hirsch, and my current favorite, Diane Ravitch. There are others dealing specifically with music education, but I’ll leave those for another discussion. I haven’t read any of the books on your list Brandon, but I am going to make an effort to read several of them this year. Thanks for the post. My recent reads have been books addressing the Palistian/Israeli conflict. I’m afraid I have lost all respect for Zionist Jews, I align myself with the Jewish Peace Movement, whose members are concerned with the inequities and horrors perpetrated by Israel against the Palistinian people. I do get rather agitated by some of the things I read, so perhaps it is time for a change of genre. Thanks again for the list. Thanks for the list Brandon. I mostly read fiction but your list has perked my interest, especially the Grant Palmer book. I have always been a fan of Chopra. Wow you do a lot of heavy reading, do you ever read fiction? Thanks Michelle. Glad you liked the list. Here are some fiction recommendations for you. These were among the very best books I read last year. I got a lot more out of them than entertainment. Solar, by British author Ian McEwan. To me these stuck way above the pack of other non-fiction books I read last year. I love a good story, but I’m also a sucker for well-written prose. Cool, thanks. I’ve put the samples of both of these on my iPad and will check them out.